Mozo has been recognised around the world for the good work we're doing disrupting marketing hype, building cool new comparison tools and helping people save money through our clean, easy to navigate website. We're pretty proud of some of the awards we've won as a small business, so it's straight to the pool room. Mozo's newest service, our energy comparison tool was voted in at number 21 on the Australian Anthill Smart 100 Index for 2016. 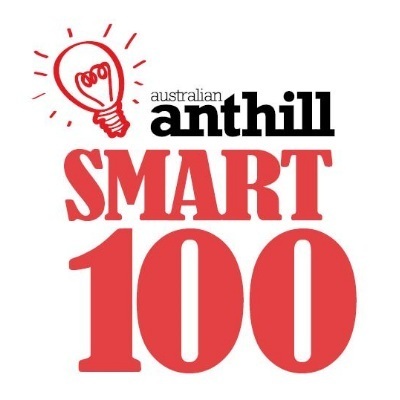 The Smart 100 Index recognises Australia's most innovative products and services. Mozo took home bronze in the Stevie Award’s Best Industry Website category. Launched in 2002 the Asia-Pacific Stevie Awards recognise the achievements of businesses across 22 nations of the Asia-Pacific region. More than 400 businesses were nominated for the awards and the winners were selected by 50 executives from around the world. The Deloitte Asia Pacific Technology Fast 500 is a ranking of the fastest growing companies in Asia Pacific. Rankings are based on percentage revenue growth over three years. Mozo was one of only 74 Australian companies to make the list in 2014. 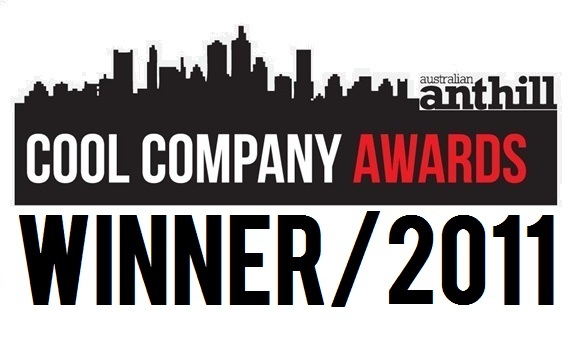 Mozo rocked Anthill's Cool Company Awards 2014 taking out the number crusher category. The Cool Company Awards were launched in 2006 as a way for Anthill to acknowledge and celebrate Australian organisations that are doing things differently to bring about positive change. Mozo was named Australia's Best Medium Business in the My Business Awards. Companies in this category needed to demonstrate innovation, growth and entrepreneurial flair and have between 20 and 199 full-time equivalent employees. The Deloitte Asia Pacific Technology Fast 500 is a ranking of the fastest growing companies in Asia Pacific. Rankings are based on percentage revenue growth over three years. Mozo was one of only 66 Australian companies to make the list in 2013. Mozo was awarded a place in the Red Herring Top 100 Global, a listing of the leading private companies from North America, Europe and Asia. Red Herrring's Top 100 Global list has become a mark of distinction for identifying promising new companies and entrepreneurs. Mozo was awarded a place in the Fast 50 for the third year. Now in its thirteenth year, the Deloitte Technology Fast 50 Australia 2013 program recognises and profiles Australia's 50 fastest growing public or private technology companies, based on percentage revenue growth over three years (2011-2013). For the fourth year running, Mozo has been recognised as one of Australia's coolest companies, taking out an honorable mention in the innovation category and scoring an overall place in the Top 50 of the Cool Company Awards. These awards were developed in 2006 to recognise Australian companies that are doing things differently to bring about positive change. Mozo was named Australia's 67th fastest growing company in the BRW Fast 100 list of 2013. The BRW Fast 100 list ranks Australia's fastest growing, public and private, small and medium businesses. The annual list has established a strong reputation as being the premier guide to the fastest growing small and medium businesses in Australia. Mozo won an Outstanding Website Award in the 17th Annual international WebAward Competition. Founded by the Web Marketing Association in 1997, the WebAwards is the standards-defining competition that sets industry benchmarks for the best web sites based on the seven criteria of a successful website. The Red Herring Asia Top 100 List has become a mark of distinction for identifying promising new companies and entrepreneurs. In making the Top 100 Asia list, Red Herring's editors stated that Mozo embodied the vision, drive and innovation that define a successful entrepreneurial venture. Red Herring is a global media company. Its Red Herring 100 awards for North America, Europe, Asia and Global have recognized more than 5,000 companies in their early stages, including Baidu, Google, eBay, Skype. Mozo's Mystery Bank service was voted as one of Australia's top 100 innovations for 2013. This is the fourth consecutive year that a Mozo innovation has made it to the Smart 100 Index. Mozo was placed 32 in the list of Australia's fastest growing start up companies for 2013 in the BRW Fast Starters awards. The Deloitte Technology Fast 500 is one of Asia Pacific's foremost technology award programs. It is a ranking of the region's 500 fastest growing technology companies, based on percentage revenue growth over three years. Mozo was honoured with a thumbs up accolade in Anthill Magazine's Cool Company Awards. These awards were developed in 2006 to recognise Australian companies that are doing things differently to bring about change. The Deloitte Technolgy Fast 50 awards rank the 50 fastest growing public or private technology companies, based on percentage revenue growth over three years (2010 - 2012). Mozo's Travel Money Hub was voted in as one of Australia's Top 100 innovations for 2012. This is the 3rd consecutive year, that a Mozo innovation has been in the Top 100. 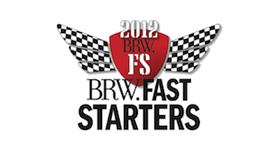 The BRW FastStarters celebrates the top 100 fastest growing start-up companies in Australia under 4 years old. Mozo was named the 13th fastest growing start-up in the in StartUpSmart Awards 2012. These awards recognise the most innovative and fastest growing companies in Australia. Mozo scored a place in Anthill Magazine's Cool Company Awards and earned an honorable mention in the X-Factor Award Category. The X-Factor Award recognises companies that demonstrate extraordinary levels of innovative, entrepreneurial and creative flair. Mozo's revolutionary Rewards Revealer Tool was voted as Australia's 30th most innovative product/service in the 2011 Anthill Magazine Smart 100 Index. The Smart 100 index was created to indentify and rank Australia's most innovative products. These awards recognise the most innovative and fastest growing businesses in Australia. Mozo won the Rising Star award in the 2010 Deloitte Technology Fast 50 awards. The highly competitive Rising Star award recognise high quality and innovative young companies with strong growth potential. Mozo was named a finalist in Anthill Magazine's Fifth Annual Cool Company Awards, a national program developed to recognise Australian companies that are doing things differently to bring about positive change. These awards showcase the best websites in Australia, and focus on design, ease of use, creativity and important to the Australian public. From over 300 nominations, Mozo finished as a finalist in the East Coast region for Innovation and For the people. Mozo finished with a Highly Commended in the category of Best Small Business from over 500 of high quality entries and fierce competition. Mozo's innovative Health Check won a place in the Smart 100 for the best online tool. These awards embody the passions of earnest inventors and the dreams of budding business builders. The inaugural Smart Company Web Awards 09 discovered and recognised Australia's top business websites that are changing the online landscape. The Technation Top 100 Startup Index measures trends in traffic, news coverage, online buzz and funding. Mozo was first featured in August 2009 and is now in the Top 20!